Set in a small community in Pennsylvania following the Civil War, Verity Boone, returns to her birthplace to be reunited with her father and meet her intended husband. Her mother died when she was a toddler, so she was sent away to be raised by her extended family. 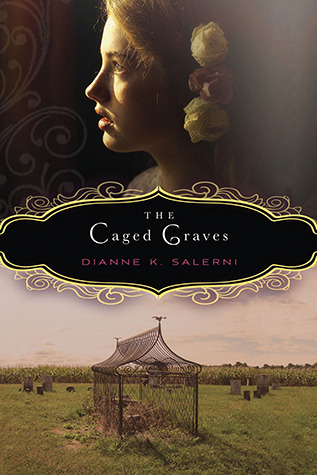 Her first day back, she discovers her mother and aunt were buried outside the cemetery with cages placed around their graves. She sets her determined mind on discovering the secrets in the community, buried treasure and unexplained deaths. Equal parts historical fiction with a glimpse into the rural 1860s, and equal parts mystery, this book is successful on many levels. There is a bit of a love triangle to satisfy teen girl interest but not enough to deter boys from reading. The focus here is the mystery told through rich, well drawn characters. Highly recommend. This entry was posted in highly recommend, historical fiction, mystery and tagged post-Civil War. Bookmark the permalink.